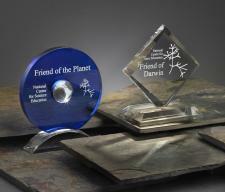 Each year, NCSE awards its Friend of the Planet award to individuals or organizations who have significantly contributed to efforts to increase the public’s understanding and appreciation of the science of climate change. This year’s winners have worked tirelessly to give the public the tools it needs to understand what scientists know about climate change and how they know it. If you haven’t read the recent New York magazine article by David Wallace-Wells on climate change, you probably should. I read this viral (and absolutely terrifying) article on July 10, 2017, under somewhat unusual circumstances. As I had it open on my phone, my family and I were driving on the I-15 through Las Vegas.